DEŠA (Humanitarian and Peace Organisation) is a non-governmental organization operating in Dubrovnik, Croatia, formally founded in 1993. DESA’s aim is to help women and their families to better cope with hard times and life conditions. The history of the organization’s activities clearly shows the way in which it has developed over the years, from the help it had initially organized for refugees and displaced women in the period of emergency, to the introduction of special projects, made to measure for the post-war reconstruction problems. DEŠA has evolved from providing work for therapeutic purposes to offering occupational training and self-help projects. DEŠA is an NGO, founded in Dubrovnik in 1993, with the aim to help women refugees, immediately after the tragic events which took place there in 1991/1992. While it has maintained its humanitarian and peace promoting activity up till now, as time went on, DEŠA’s programs have sought to adapt to the requirements of the real life situations. Nowadays, DESA has become an organization which aims to help women to find their independent place in the society. Over the years DEŠA has worked with and has been helped financially and otherwise by numerous international NGO’s and humanitarian organizations, as well as by numerous Croatian companies and Croatian Government funds. DEŠA’s focus has always been concentrated upon the woman, as a mother or a spouse, as a researcher or a keeper of tradition, but also as a promoter of positive changes in family and community. Nowadays, through its educational and developmental projects, DEŠA encourages woman to become economically independent and to get actively involved in the transition processes of the society. DESA stimulates the peacemaking role of woman in the promotion of tolerance and of a constructive dialogue in a multiethnic society. Jany Hansal, economist for tourism, has been president of DEŠA-Dubrovnik for over 20 years. She is also a leader of DEŠA's educational centre. She has extensive excperience in coordinating, organizing, and managing all activities of DEŠA, as well as promoting DEŠA's role in civil sector development in the region. She has extensive experience in project management and report writing, coordination of events, participation of volunteers, and public relations. She participated in many educational programs, organized study trips, public panel discussions, economic and other manifestos, workshops etc. She is very active in civil society development. 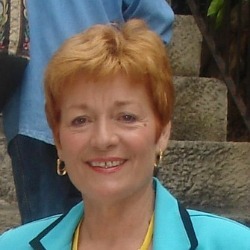 She is founder of NVO – Europe House in Dubrovnik, Association of friends of the Island of Mljet, Alliance Francaise – Dubrovnik, Pavlovi baštinici – Island of Mljet, Dubrovačka naranča. As a volunteer she is a board member of the Mscular Dystrophy Association in Dubrovnik and Lions Club Sveti Vlaho-Dubrovnik, a member of the Civil Society Development Council of the Republic of Croatia and president of the Civil Society Association of the City of Dubrovnik.